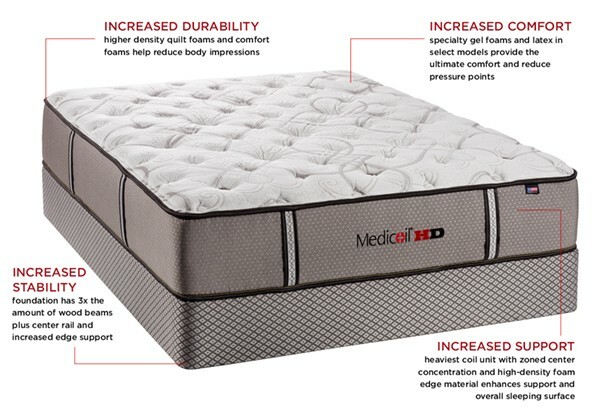 One of the most durable mattresses on the market! This heavy duty mattress from Therapedic will give you years of comfort. Tired of rolling into each other on a too soft pillowtop mattress? - that will not happen with this mattress. Features the thickest coil unit in the indusrty and high density foam padding. 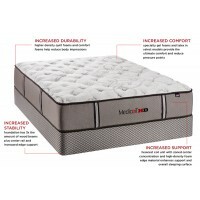 The mattress is inner tufted to prevent any shifting of materials.